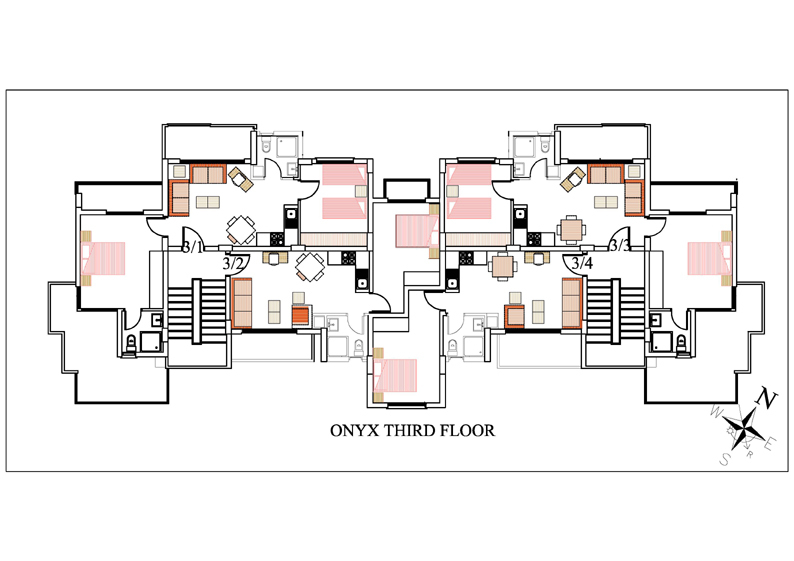 This one bedroom penthouse apartment is located on a popular resort in Bogaz, Iskele. It comprises of an open plan lounge/kitchen area, bathroom with shower, a separate double bedroom with a Juliet balcony and far reaching views of the countryside. There is also a larger balcony off the lounge area with views to the sea. Directly above the apartment is a spacious roof terrace for barbeques and sunbathing. The onsite facilities include two new swimming pools (one with a water slide), tennis and basketball courts and a pool side café(open in 2015). A popular restaurant that is open 12 months of the year is less that 5 minutes’ walk away. For those that enjoy walking or cycling, the Sea View development is surrounded by many tracks leading into the beautiful surrounding countryside. The development is within walking distance of the sea and the sandy beaches in Bogaz with its picturesque fishing harbor where there is also a good selection of bars, cafes, restaurants and shops. The historic town of Famagusta is just a 20 minute drive and both Ercan airport and Larnaca airport are within easy reach. Excellent as an investment with rental potential. Includes a kitchen area fitted with attractive floor and wall cupboards with all white goods fitted including, fridge freezer, electric hob, extractor fan, oven and washing machine. The lounge area is fitted with an air conditioning unit and patio doors open onto the spacious balcony with room for a table and chairs ideal for alfresco dining. Double sized bedroom with air conditioning unit, fitted wardrobes and sliding patio doors to the Juliet balcony with views to the back of the property. Fitted with a corner Shower, WC and wash hand basin. These people don’t often get it wrong and this vote of confidence may be considered a guide to your own choice of where to buy your home or invest in land in the Mediterranean.